Australia’s dairy industry has a long history of government support and control. From the 1920s to the end of the twentieth century, a succession of state and federal governments sought to stabilize the supply and price of milk, butter, and cheese and, as a result, encouraged the production of drinking milk over milk for further processing. This resulted in higher prices for consumers. After deregulation of the industry in 2000, prices for fresh milk fell and producers are now able to interpret global price signals and adjust their investment and planned output based on real-world demand, rather than face the inefficiencies, rigidity, and perverse incentives associated with government control. A succession of agricultural policy reforms throughout the 1980s and 1990s addressed some of the issues arising from government control and subsidization, and were bolstered by Australia’s commitments to end export subsidies on accession to the World Trade Organisation in 1995. In 2000, the industry was deregulated. State Marketing Authorities, which had been responsible for setting prices and managing supply, were abolished, as was the premium paid for “market milk” produced for consumption as fresh milk. Alongside these reforms, from 2000 to 2008 the Federal Government instituted a package of measures to help producers adjust or transition out of the industry. A number of smaller farms were either consolidated or put to other productive uses. The results of these reforms have been unambiguously positive. Consumers have benefited from lower prices for fresh milk, with prices falling by 12¢ per litre immediately following deregulation. Farmers have received consistently rising farm-gate prices, which have risen by 56% since deregulation in 2000. Fewer, larger, farms are driving greater productivity, the national milk supply has been maintained, and the size of the national dairy herd has stabilized in what is an ongoing consolidation, rather than shrinking, of an ever-more productive industry. Dairy deregulation has enabled the Australian dairy industry to be reconfigured so producers can respond in an efficient way to supply and demand. 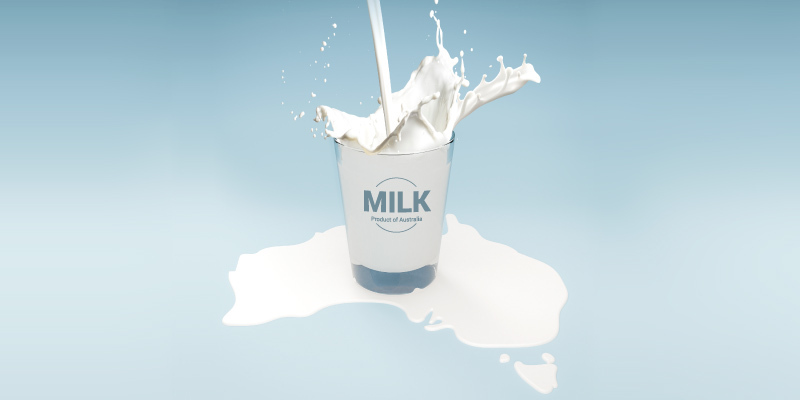 The Australian dairy industry now exports almost half of its output, making dairy the third most important agricultural export after beef and wheat, and bringing in export earnings of about $3 billion per year. The flexibility and market orientation of the industry has positioned Australian dairy producers to take advantage of the falling tariffs in the Asia-Pacific region driven by the Comprehensive Progressive Trans-Pacific Partnership (CPTPP), and potential liberalization of UK trade policy following Brexit. The Australian example is instructive for Canada and other major dairy-producing nations.